21 I Etwas lebhaft und mit der innigsten Emp ndung. be the vehicle of some of his greatest compositional achievements, and the music of his “late period” is no exception. The last five piano sonatas were composed between the middle of 1816 and the start of 1822 and, along with the Bagatelles, Op.126 and the Diabelli Variations, Op.120, form a crucial part of Beethoven’s monumental late works. Beethoven’s final three piano sonatas were composed in a fit of creativity alongside the Missa Solemnis. His previous foray into the genre had been the Hammerklavier Sonata, Op.106. Initial sketches for the final three appeared in 1819; much of the Sonata No.30, Op.109, was composed in Mödling during the summer of the following year. This sonata was then published in November 1821, dedicated to Maximiliane, the teenage daughter of Antonie Brentano. Antonie is thought by many to be the famous but anonymous “Immortal Beloved” for whom Beethoven pined, and to whom he wrote a passionate, apparently unsent, letter in 1812.
great beauty – is both lyrical and poignant. Sparkling music marked Vivace is contrasted with wistful, improvisatory passages at a much slower tempo, Adagio espressivo. We have the sense of a nostalgic fantasy, its whimsical twists and turns exacerbated by an underlying structural disintegration. Furthermore, these slower interludes seem to negate the need for a separate slow movement, which Beethoven replaces with a central Prestissimo. This follows the preceding movement without a break, and combines the qualities of scherzo and character piece, dismissing the first movement’s exchanges with firm fairness. The material is characterised by a muscular bass line, and by rapid running gurations in the upper register. Aloys Schlosser wrote of Beethoven’s late style that he “may proceed from an ordinary, even insignificant theme, and explore, spin out, or develop all its inherent possibilities”. In this case, the tender theme is far from “insignificant”. The vocal qualities of its rich, chorale texture are made explicit by the intriguing, almost self-contradictory, marking: Gesangvoll mit innigster Emp ndung, mezza voce – “Singing, with ardent feeling, half-voiced”. Rhythmically, the theme evokes a sarabande, and the second part of the melody may be linked with material from the song cycle of 1816, An die ferne Geliebte (“To the distant beloved”), Op.98, which suggests a veiled homage to the dedicatee’s mother. 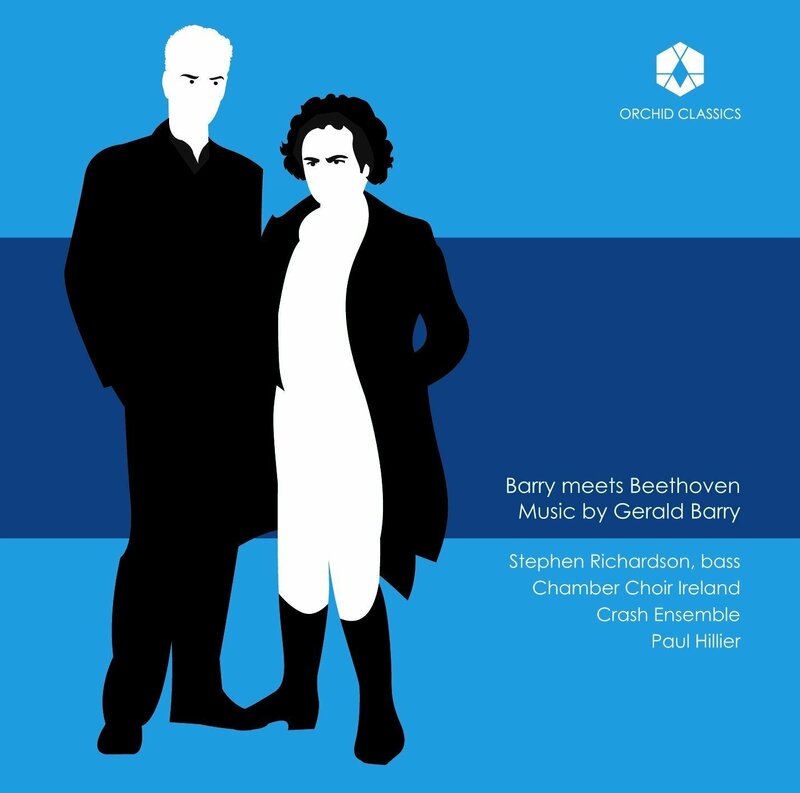 The variations encapsulate different facets of Beethoven’s late style – ornate, remarkably delicate, but with a looseness, a sense of fantasy or improvisation, culminating in textures of extraordinary complexity – as well as alluding to the earlier movements of the sonata. The fifth variation is a tribute to the Baroque counterpoint which, when tempered with the refined levity of the Rococo sensibility, formed an integral part of the Classical style. The final set, Op.126, was composed between 1823 and 1824. The first Bagatelle is charming and innocent, sharply contrasted with the concision and intensity of the second. No.3 has a translucent, chorale-like texture, and in No.4 marching rhythms frame a wittily persistent rustic drone. No.5 begins with searching material, its questions answered by music of profound serenity, and in the sixth and final Bagatelle, gently rocking music in the manner of a barcarolle is varied, bookended with a Presto phrase of uninhibited positivity. The set of Eleven Bagatelles, Op.119, encompasses more pieces than the other sets (Op.33 comprises seven Bagatelles), yet each is blink-and-you-miss-it brief. This concision might imply frivolous, throwaway material, but in fact Beethoven’s style seems to have been distilled into a concentrated essence, the droplets of which make up this intensely- flavoured musical cocktail. Beethoven’s publisher considered these works to be beneath the great composer, but fortunately their qualities were recognised by the composer, pianist and horn-player, Friedrich Stock, who published the Bagatelles Nos.7 to 11 in his Wiener Pianoforteschule. According to Stock, “the connoisseur will soon recognise that not only is the individual genius of the celebrated composer strikingly evident in each piece, but what Beethoven modestly calls trifles are in fact rich in instruction for the performer and demand the most thorough penetration into the spirit of the music”. – lasting little over ten seconds – before No.11 rounds off the set in a mood of graceful contemplation. The Sonata No.28 in A, Op.101, was finished in November 1816, not long after the completion of An die ferne Geliebte, Op.98, in April. Considered to mark the beginning of Beethoven’s late period, the sonata was published during the following February, dedicated to Dorothea von Ertmann, Beethoven’s one- time piano student and another possible candidate for the role of “Immortal Beloved”. There are only two known public performances of Beethoven’s piano sonatas during his lifetime, and one of them may have been of this work – or possibly the Sonata No.27, Op.90 – in Vienna in 1816. The design of Op.101 resembles that of Beethoven’s earlier fantasy sonatas, and the choice of tempi is both specific and unconventional. The first movement is remarkably subtle: the usual tonal tussle between the strong primary colours of tonic and dominant keys – such a feature of many earlier sonata movements – is played down, replaced by a more muted palette. The movement also shares with the finale of No.30 the designation, “mit innigster Emp ndung”. Having performed in numerous concerts throughout the world to great critical acclaim, Ishay Shaer is steadily becoming one of the leading pianists of his generation. Hall, Purcell Room, Tonhalle Zurich, Warsaw Philharmonic Hall, deSingel, Preston Bradley Hall, Sala Sinfónica Pablo Casals, Sala São Paulo and Teatro Solís. He has taken part in musical events such as Montreal Bach Festival, Gdansk Music Festival, Swansea Festival of Music and Arts, Dame Myra Hess Memorial Concert Series, Thessaloniki Dimitria Festival and the Israel Festival. His concerto performances have been in collaboration with the Israel Philharmonic Orchestra, BBC National Orchestra of Wales, Orquesta Sinfónica de Navarra, Orquesta Filarmónica de Málaga, the Brandenburgisches Staatsorchester Frankfurt, Orchestre de Chambre de Lausanne and the McGill Chamber Orchestra. In addition to his success as a soloist, Shaer has established himself as a reputable chamber music performer, having collaborated with distinguished artists and ensembles such as Mischa Maisky, Liza Ferschtman, Quirine Viersen, the Aviv Quartet, Carducci Quartet, Bennewitz Quartet and RTÉ ConTempo Quartet. Throughout the years, Shaer has been supported by prestigious organizations, such as the America-Israel Cultural Foundation and the Swiss Orpheum Foundation, being included in its promotion programme for young soloists. He studied with Hanna Barsilai and Prof Asaf Zohar, and later attended the Buchmann-Mehta School of Music of Tel Aviv University under Prof Tomer Lev and Prof Arie Vardi. He has also received instruction from artists such as Daniel Barenboim, Vladimir Ashkenazy, Murray Perahia and Matti Raekallio. An accomplished debut from Israeli pianist Ishay Shaer. Thoughtful accounts of two late sonatas sandwich two groups of lively Bagatelles. 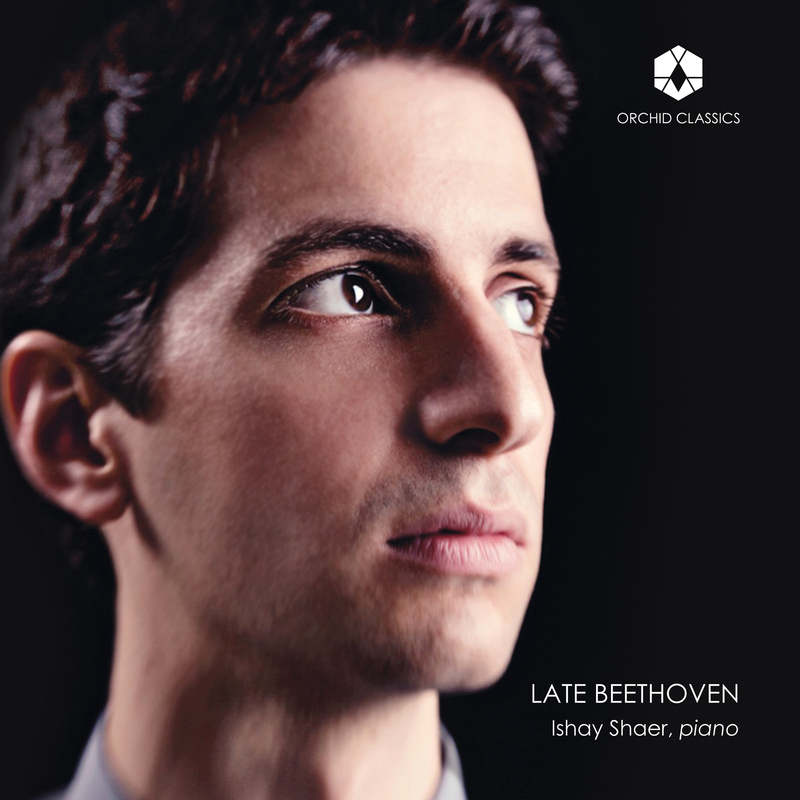 Pianist Ishay Shaer…surprises with an intimate and introverted version of late works by Beethoven… I will return to Shaer’s restrained and intriguing version. Ishay Shaer is one of those pianists that one joyfully celebrates having discovered…. he pursues the individuality of his sound and looks for his own interpretative lines…. This is an essential recording on the shelf of any music lover, especially of those who see themselves as connoisseurs of unusual performers. You will find a noble and deserving companion in this disc, which will transfer you to a territory that is becoming less and less appreciated: that of musical quality as the ultimate goal.